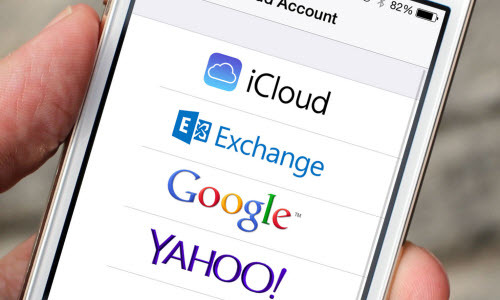 How To Sync iPhone Contacts To Gmail? You can sync your contacts to Gmail, and keep then in sync with the contacts stored on your iPhone. The main benefit of using Gmail rather than (or as well as) iCloud is that it’s cross-platform, so you can keep your contacts in sync across your other non-apple devices quite easily. This also means that you can access all the contacts on your iPhone whenever and wherever you need them . Here in this post I am going to introduce two different ways to sync iPhone contacts to you gmail account. Return to your home screen and your contacts will sync in the background. To export iPhone contacts selectively from iPhone to VCF file, you need a specialized iPhone data recovery software iFonebox. Keep it in mind that iFonebox is available for both Windows and Mac, please choose the right version to download and install. > Click “Start” after your iPhone is recognized. > Choose Contacts to scan selectively from the interface listing all the supported data categories. > Preview the exported data and check all the items to transfer to your computer by clicking “Recover to Computer”. You will be brought to the folder where the exported contacts are located and you will notice that the contacts will be exported into three formats including CSV, VCF and HTML. 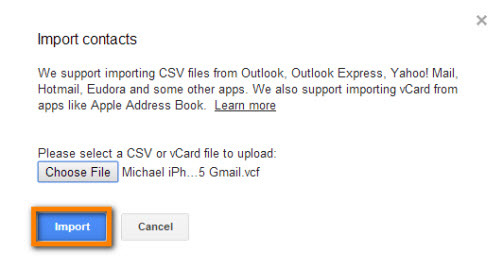 Now log in to your gmail account to import the VCF file. > Go to Contacts section. > Choose “Import…” from the drop-down menu. > Click “Choose file” from the prompt window. 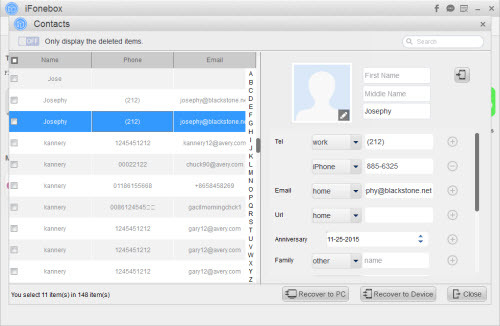 > Locate the VCF file of iPhone contacts you have exported to your PC. > Click “Import” on the prompt window named “Import Contacts”. If you have a large number of contacts, it may take quite a time to import the VCF file. Please do not click away from or refresh unless the importing completes. This entry was posted in iPhone, Tips and Tricks, Uncategorized and tagged sync contacts from iPhone to gmail, sync iphone contacts to gmail, transfer contacts from iPhone to gmail by IosdroneD. Bookmark the permalink.